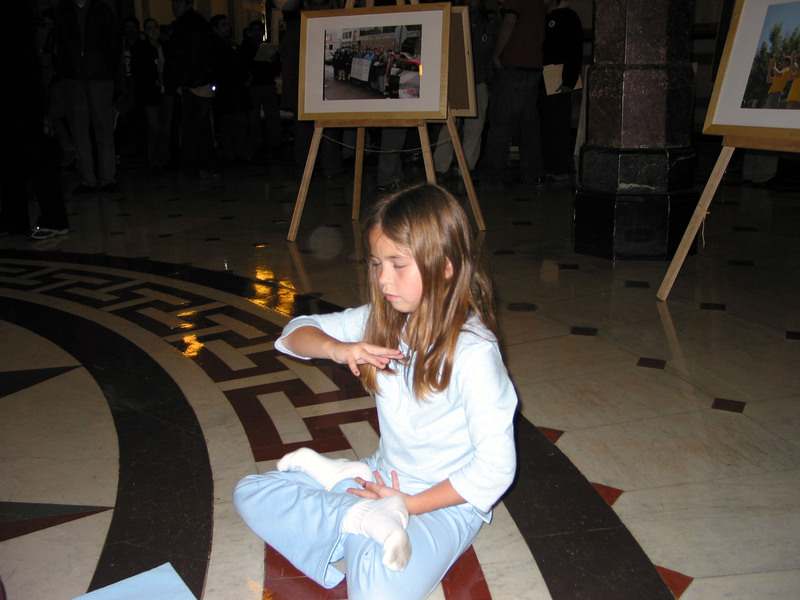 (Clearwisdom.net) On November 18 and 19 during the Illinois General Assembly's 93th session, Falun Gong practitioners in Illinois once again held Falun Dafa Photo Exhibition in main hall of State Capitol building. There were many visitors to the state building. People stopped to browse the photo exhibition and inquired Falun Gong information. The government officials all gathered at the capitol. 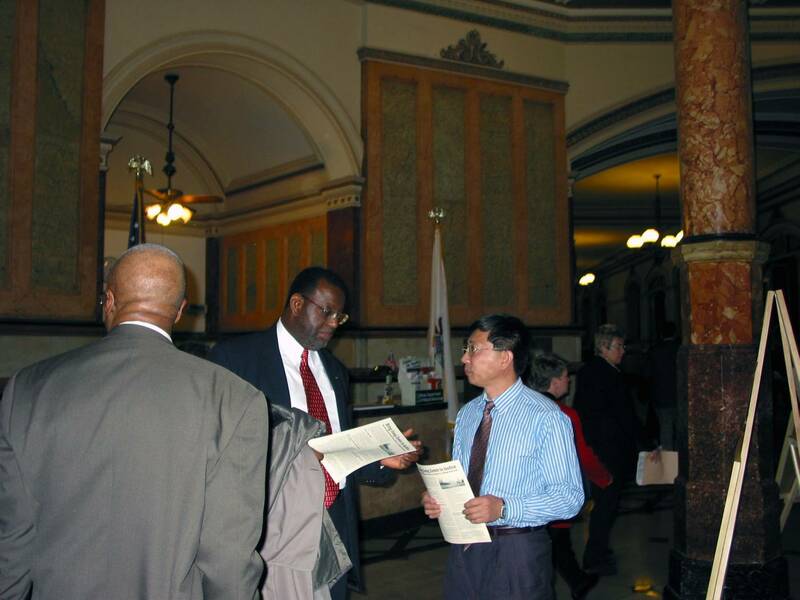 Falun Gong practitioners met Secretary of State Mr. Jesse White and State Treasurer Judy Topinka and expressed appreciation for their support of Falun Gong. 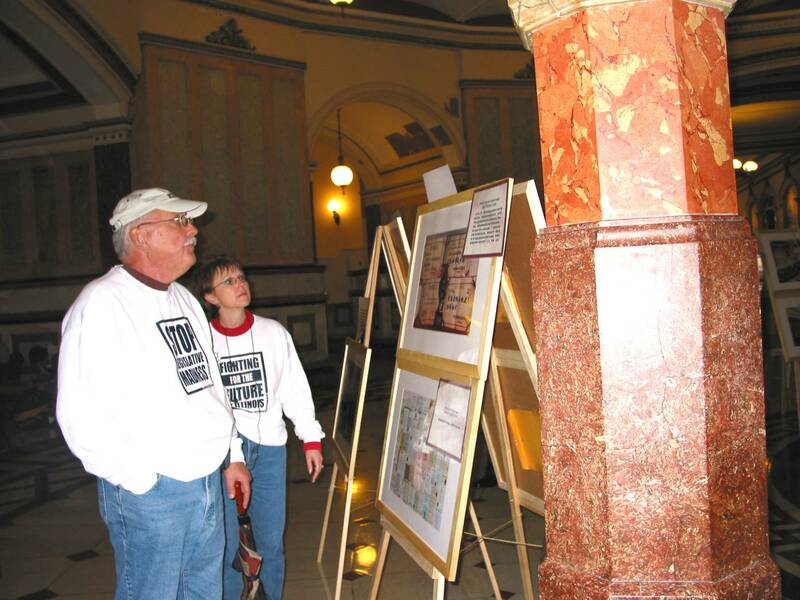 Practitioners told them about House Concurrent Resolution No. 304 that has been proposed by two congresspersons. The resolution condemns the oppression by the Government of the People's Republic of China of Falun Gong in the United States and China, and China's harrassment of US government officials who support Falun Gong. Mrs. Topinka expressed his hopes that the persecution and harrassment would not continue to be extended in the US. 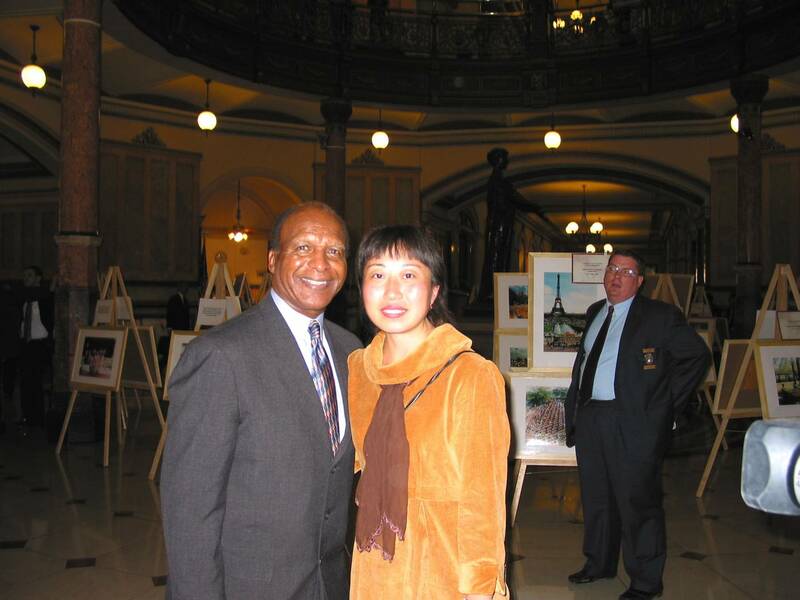 Mr. Jesse White expressed his hope that Chinese people have the right to safeguard personal belief and dignity. 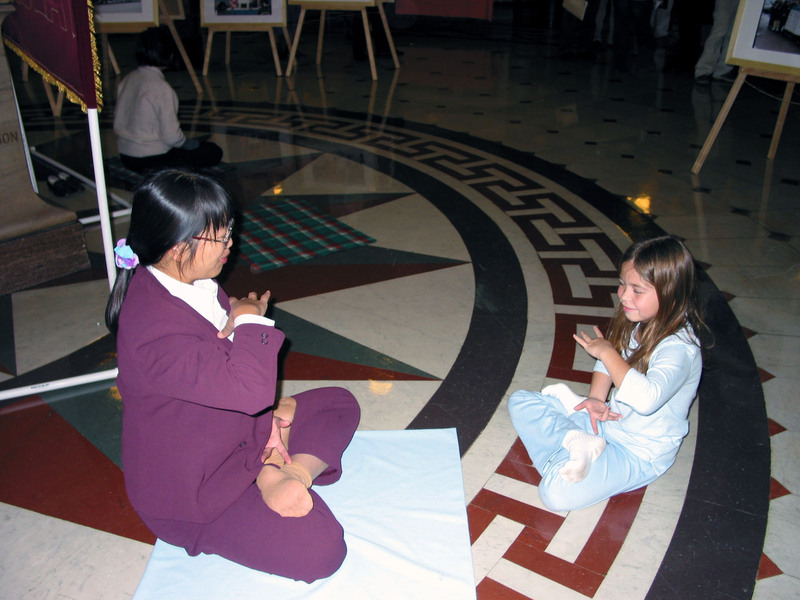 Since 2001, Falun Gong practitioners had held several truth clarification activities during the State General Assembly session. More and more of the members of the assembly and their stuff members as well as people working in the building came to know Falun Gong through our activities. Some members of the assembly came to greet practitioners, and some people working in the building came to learn the Falun Gong exercises during their lunch breaks. Falun Gong practitioners will continue to hold activities during the general assembly session. It is good opportunity to talk to the government officials directly and to show the magnificence of Dafa, clarify the truth and call for support.